Let's start the official Heraklion X preview topic. As said this is a project currently being done by Emilios and will cover Heraklion airport and immediate surrounding in great detail. We do not yet have a release date scheduled but progress is good as you can see from the images! Thank you very much Mathijs, very nice pictures! Not at this moment, we'll see. For sure it won't look like that as FS9 can't show the ground textures with that much detail. Excellent start Emilie, love the work on those buildings! Thanks for the Info, Mathjis! Since I visited the island some years ago I wanted this airport. Mathijs is right about the general lack of texture quality in FS9. However, and without going into much technical details, the way we are developing this project is more 'flexible' and so will allow a good FS9 version too. Looks interesting! As the second busiest airport in Greece, chances are great I'll get this. Thank you so much for consider a fs9 version.I hope you will do support to fs9 in your other project. Emilios would be great if you wil do a fs9 version aswel. I´m sorry but honestly I can´t. 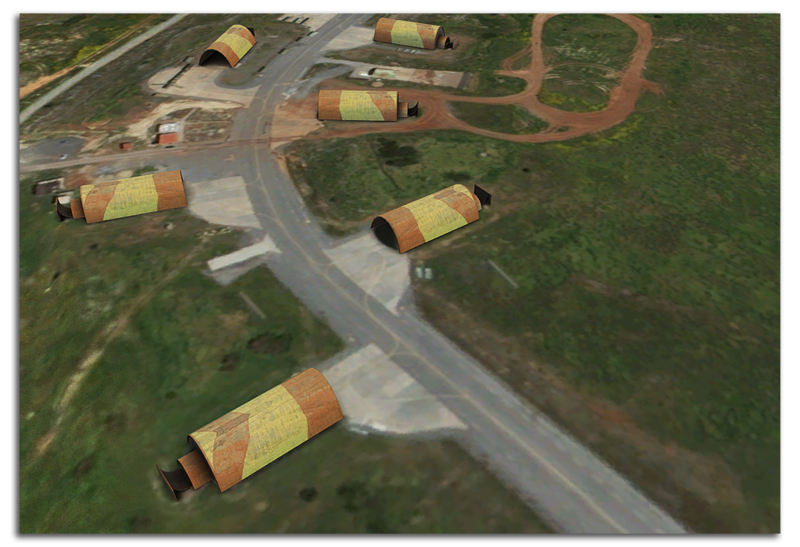 I believe that FSX offers much more functionality in terms of ground textures etc. than FS2004. :-) And if I fly in FS9 I wan't to see and have the same functions as in the FSX version. As you know know Mathijs Said that fs9 offers less features for scenery designers than fsx. Fs9 is almost 9 years old, fs9 is is the past, let it go. Never going happen seeing as FSX uses higher resolution images for its textures that FS9 can. If you want to take advantage of high resolution textures then your only really left with one option. Air Holland, please stop the everlasting whine for FS9 version of FSX only products, keep your dignity! 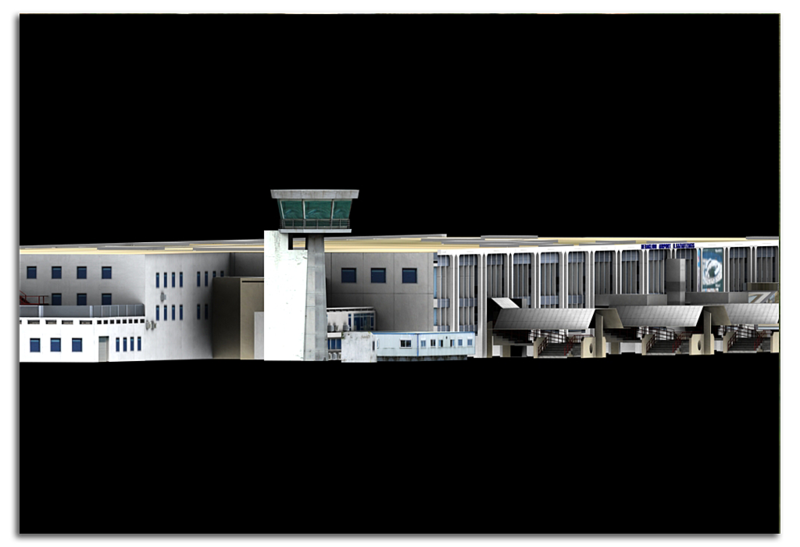 (look at the NGX or FSDT LAX, Flightbeam KSFO, Orbx). And I therefore respect and encourage Aerosoft decision making when it comes to FSX only products. People who are always whining for FS9 products just bug me. FS9 is old, limited and not a viable platform anymore. Buy a good PC and stop flooding every topic with your pro-FS9 propaganda! I completely agree with KLM737 above me, it's just the continuous whine for FS9 scenery's. It really has to stop, the flying times for FS9 are over. You can't make a scenery for FSX only, It's like discrimination. People are flying FS9 because it's just a good simulation with nice graphics and good frames on a medium or low end PC. On IVAO there so much people flying FS9, so the flying times for FS9 aren't over. So I agree with Air Holland. I think there is something to say for both opinions. FS2004 is good and for that reason it's still in use with a lot of people. On one hand, you want to keep those people satisfied. On the other hand, there's a reason those people are still using FS2004. Like you said, they mostly got a medium or low-end pc. And if you don't have the money to invest in newer better hardware you mostly also don't have the money to buy add-ons. Then what's the point in the existance of these add-ons if the people they're meant for don't buy them? My advice in this situation: save up the money that you otherwise would have spended on add-ons for FS2004. Put it on a bank account and when the time comes, invest it in new hardware so that you can run FSX. I did the same about a year ago and I don't regret it. To be honest, I totally agree with PatrickZ, just save the money for a killer FSX PC so that you can run the newest add-ons! Why buying a new PC to run a simulator with nearly simular graphics as FS9?, to fly on Nikos Kazantzakis? No sorry. I have more hobby's to spend money on and I think I'll get a new PC this year to run FSX. Well, you we're going off topic in the first place by whining again about a FS9 scenery. Anyway, it looks really nice and I'm really looking forward to this nice scenery for FSX.